London’s newest darts venue opened its doors on the edge of the City this week promising to preserve the tradition of darts, whilst ‘completely blowing the doors off it’. So far, Flight Club seems to have delivered. On Wednesday night each of the twelve boards were in use, with groups of professionals in suits and stilettoes chucking darts for £25 an hour while tucking in to crab croquettes and sipping their £10- cocktails (‘Bus Fare Home’ = whisky, sherry, fig liqueur, Angostura bitters, orange zest). Buckets of lagers sat by beautifully manicured oches, marked with three throw lines for the Rookie, Regular, or Pro (7’9”). Women – lots of women – shrieked as large flat screens above announced their newfound ‘killer’ status. Flight Club darts is buzzy, busy, and full of beautiful people; Barry Hearn will go ballistic when he realises what he’s missing out on. Central to the appeal, it seems, is some magic which allows all scoring to be automated: think ten-pin bowling, but designed by a rocket scientist. Self-scoring darts is not entirely new to London – a handful of ‘soft tip’ boards can claim that breakthrough – but automated scoring with steel tip darts and real sisal boards has a touch of Back to the Future about it. Three cameras perch high above each board; scores appear on screens in milliseconds thanks to a blend of trigonometry and wizardry that someone else can try to explain. There’s a catch, of course. The scoring system only works with ‘house’ darts, which have been painted blue so they can be picked up by the cameras. This is not the venue for a serious dart match (although you can use your own darts and turn off automated scoring if you want). An hourly booking includes one set of darts to be passed around amongst the group, which ensures that Flight Club delivers exactly what it says it will – social darts. On paper, dumbing down the simplest of sports seems unlikely, unworkable and unnecessary. On Wednesday night a darts match was taking place 300 metres away upstairs at the Flying Horse, with little razzmatazz and some basic subtraction. Flight Club appears to reflect a lack of ability to find fun without it being showy, packaged up (think Who’s in the Bag), and broadcast on Facebook. Add in the requirement for door staff, a bookings manager and uniformed waiting staff, and Flight Club begins to sound like Keith Talent’s worst nightmare. But that is to misunderstand the thought and care what lies beneath. This is darts reinvented for our times, by people who know their audience and get the sport. Finishing on a double? That’s too difficult, so it’s been binned – 301up is re-branded as Demolition Darts, with your ‘wall’ disappearing on screen until you reach exactly 0. (For older players, it’s reminiscent of Atari’s Breakout). Killer has been tweaked, removing any complexity (including, happily, the possibility of accidentally killing oneself). The oches are unlike any other seen in London, with high tables flanking the thrower perfectly placed for groups to enjoy food and drinks, whilst cleverly reducing the risk related to sharp pointy things and large groups of pissed people. But within this redesign, the ‘throw’ remains perfect. There are boards tucked away for smaller groups, large areas for big city nights out, booths for twelve of Hoxton’s finest. On Wednesday night 250 people had passed through the carefully tiled entrance (a nod, of course, to traditional pubs); all seemed to be playing darts, with, incredibly, just 36 arrows in play throughout. The pound signs were ringing, even if tungsten shares are going nowhere. Hidden away near the stairs is a selection of old and rarely seen dart boards, each in itself a relic of a dying pub game. 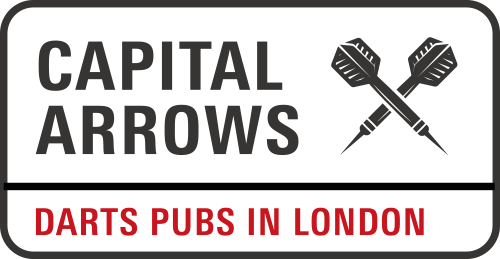 Darts in pubs in central London has been diminishing for decades, but the decimation of the last few years means that extinction within a generation has begun to look like the most likely outcome. 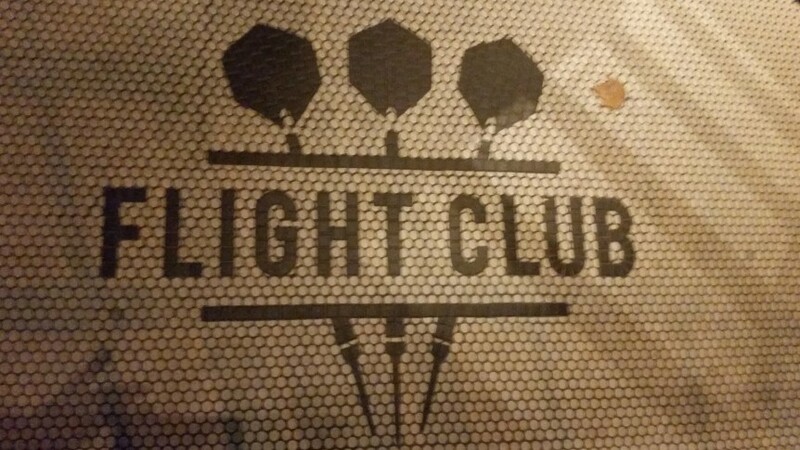 Flight Club is the best attempt to try something radically different for darts in pubs since it boomed in London in the 1920s and 30s. I’ve no idea if it will help stem the decline of darts in the capital, but it gets full marks for effort, and fuller marks for style. Visit, and throw darts, even if they are blue. Can’t believe you got rid of finishing on a double! So stupid and unnecessarily dumbing down the game. Why not just have an option to turn double finishers on or off!? Even my friends, who don’t normally play darts, were confused by this and also felt it ruined the game!